A masterful adaptation of early Italian design. 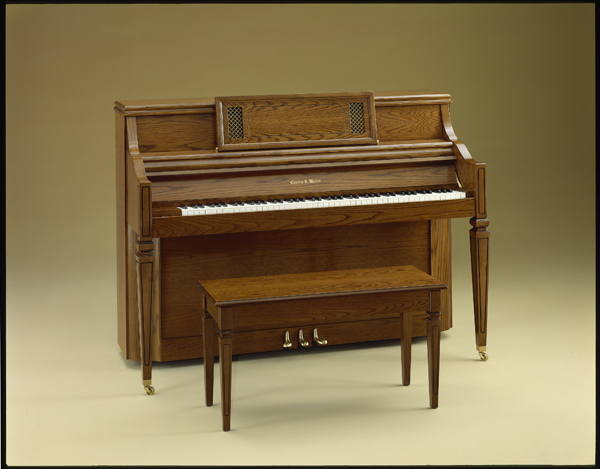 The music desk, bordered in solid wood molding, is accented by two grille-work insets. Shown here in high sheen Walnut.